No drivers wants to leave the pit lane first. Doing so would not give them the benefit of the draft. The 2019 rules package has brought drafting into play. The cars have less horsepower and more downforce. Those two things create more on-throttle time which in turn has created drafting as tracks where it wasn’t really seen in the past. 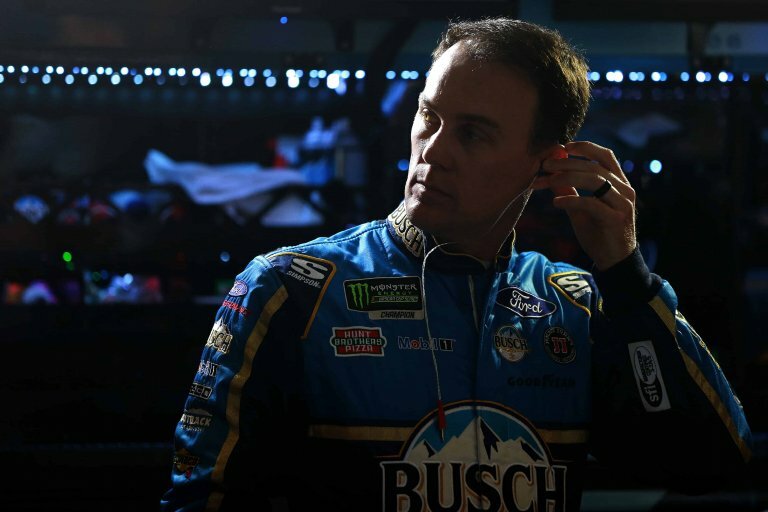 Earlier this week, Steve O’Donnell called into ‘The Morning Drive’ via Sirius XM NASCAR Radio. A big part of that phone interview involved the discussion of NASCAR qualifying. O’Donnell noted that NASCAR doesn’t want to go back to single car qualifying, but they might. He also noted his person thoughts as he watched qualifying on Friday. “I know the drivers did not like this qualifying that we were going to do before the season. So part of you asks, ‘Are we doing this on purpose?’ You know, to get rid of it,” O’Donnell stated. “Well, one way is not to air your dirty laundry on the radio,” Harvick said. “The only way to fix qualifying with cars that draft is to have single-car qualifying on the superspeedways and the mile-and-a-half race tracks. That’s the only way to fix it,” Harvick stated. “Any time that you have a draft, the guy in second is going to be faster than the guy in first as long as he’s close enough. That’s one of the unforeseen consequences that have come with this rules package that have impeded qualifying sessions that we’ve had this year at Texas, at (Auto Club) Speedway, at Las Vegas. At Auto Club Speedway, all 12 drivers failed to set a lap in the final round of qualifying. 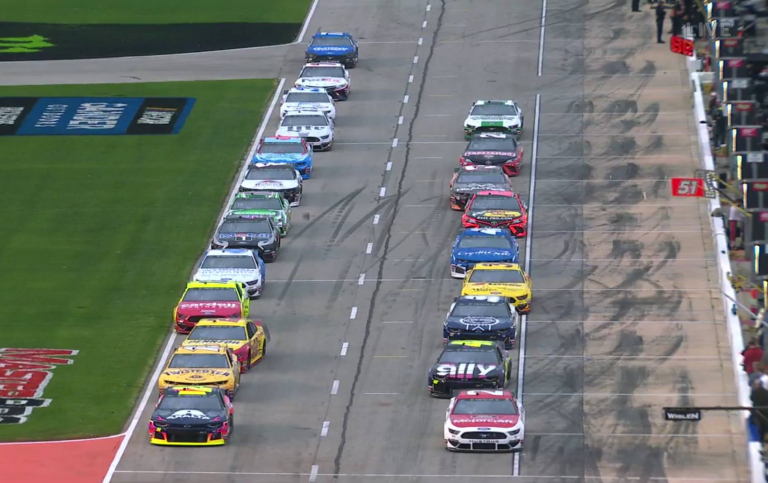 The field waited so long at the edge of the pit lane that none of them made it back to the line in time to start a lap. NASCAR already made adjustments ahead of Texas Motor Speedway. It required that drivers leave the middle lane open while they wait on the pit lane. But, NASCAR still had an incident with Ryan Newman and Clint Bowyer. That brought Bowyer’s famed ‘clogging’ term to qualifying. The tracks upcoming on the NASCAR schedule aren’t likely to see drafting come into play. Bristol and Richmond are up next. That’s followed by single car qualifying at Talladega Superspeedway. Then, the tour heads to Dover. Kansas Speedway is the next 1.5-mile track where we’re likely to see a similar situation. That race is more than a month away on May 11th. “We’re going to look at every option, including the possibility of going to single-car qualifying,” O’Donnell during the call earlier in the week. “The reason we haven’t is that’s on the teams. That’s parts and pieces. We’ve tried to be as efficient as possible trying this method of (group) qualifying.